Kick your weekend off with some proper funk. Funk legends Nile Rogers & Chic have a brand new album It's About Time dropping this September, their first in 25 years. Today, they shared the first single from the project and it's a certified slapper (as if you expected anything less). The disco-ready track "Till The World Falls" features vocals from Vic Mensa and Cosha, and production from Mura Masa. Anderson .Paak also lent a hand in the song's creation. 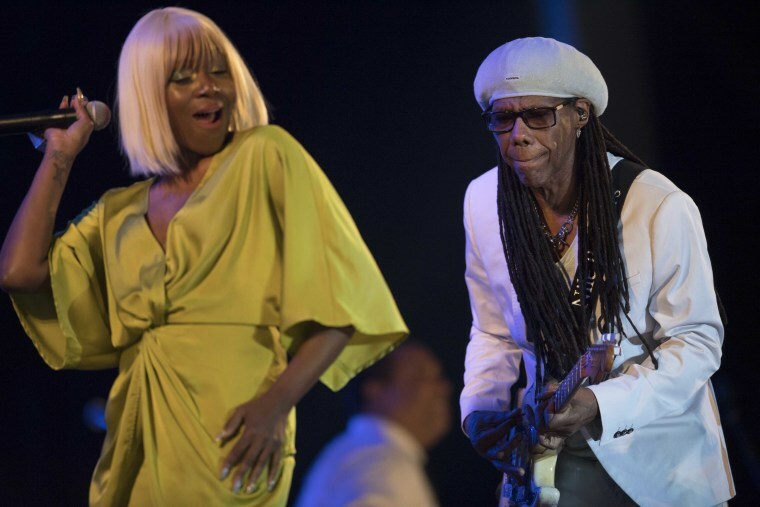 Listen to it below, and then check out Rogers and Chic's performance of another new track with NAO which debuted on Later With Jools Holland last week.